TM is a very interesting little company. It’s a small, privately owned make in Pesaro, Italy that offers an interesting combination of old-school thinking and cutting edge technology. In Europe, TMs have world world championships in Enduro and Supermotard as well as being a serious factor in GP motocross. In the U.S., the bikes are regarded as highly specialized. TM’s most popular bikes over here have always been two-stroke, primarily the 85cc motocrosser and the 300cc enduro bike. Until now, though, the 300 has been a little old fashioned, meaning it didn’t have electric start. Mark Tilley and the new TM 300 E-Start. For 2019, that’s changed. The bike has a new motor, complete with electric start. The cylinder is new, the cases are new and the 5-speed transmission is new. It already had an electric powervalve, an aluminum frame, a KYB fork and a shock made in-house at TM. Interestingly enough, the bike was designed around Transfer Port Injection, similar to the system on the KTM 300XC-W TPI. U.S. TM importer Ralf Schmidt decided against importing that model. He says it’s strictly a measure to pass the Euro 4 emission standard, and would have no benefit over here. We just got our hands on a test bike that has a Keihin carb. After one day of riding, we’re in love with it. The new motor is incredibly smooth and torquey. TMs have a reputation for being hard-hitting, pro-level bikes, but this one has a gentler side. The power is sweet and the jetting is absolutely perfect. We ran the bike with a mix of pump gas and VP C12, which is often necessary for these machines. They aren’t for everyone. We have a lot of testing to do yet, but stay tuned. 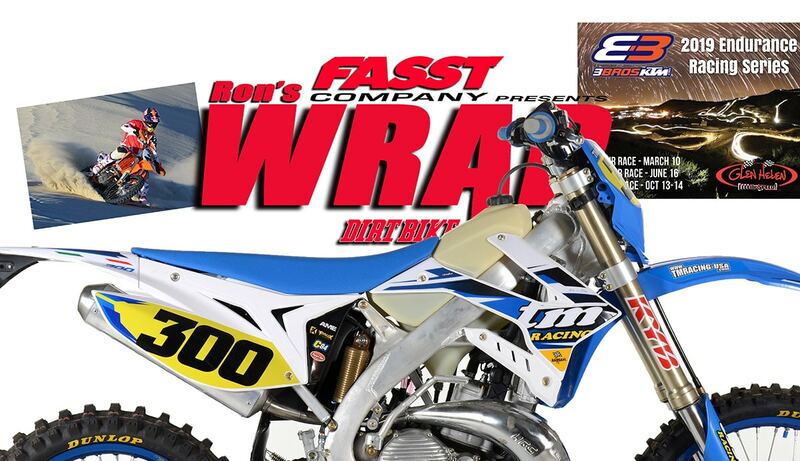 The story will appear in the March print edition of Dirt Bike. 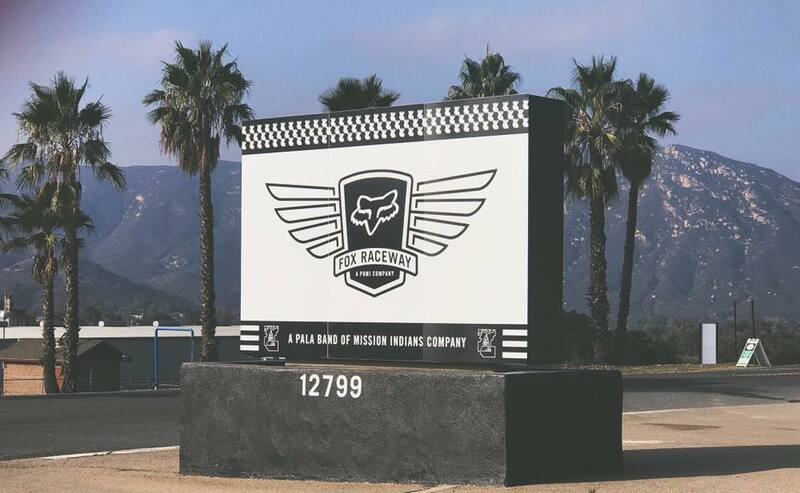 This year, the Caselli Foundation held its annual ride day at Fox Raceway on the Pala Indian Reservation. It followed much the same format as the previous five incarnations, which were held at Glen Helen. There was a team race, a memorial lap and a number of activities. Riders like Geoff Aason, Taylor Robert, Jeremy McGrath and Jeff Emig were on hand. The event has a twofold purpose. 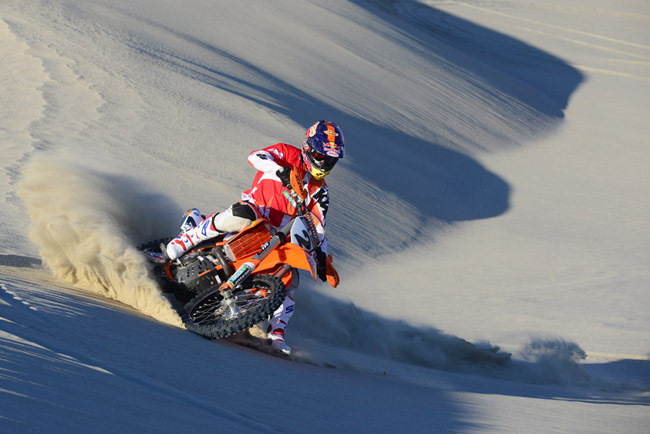 It’s about remembering and paying tribute to Kurt Caselli, who was tragically killed in the 2013 SCORE Baja 1000. It’s also one of the means to support the Caselli foundation, which is dedicated to improving safety, funding research and providing scholarship opportunities to young riders. To date, the Caselli Foundation has raised over $1,000,000. To get involved, you can join the Caselli fund-raising challenge by clicking here. 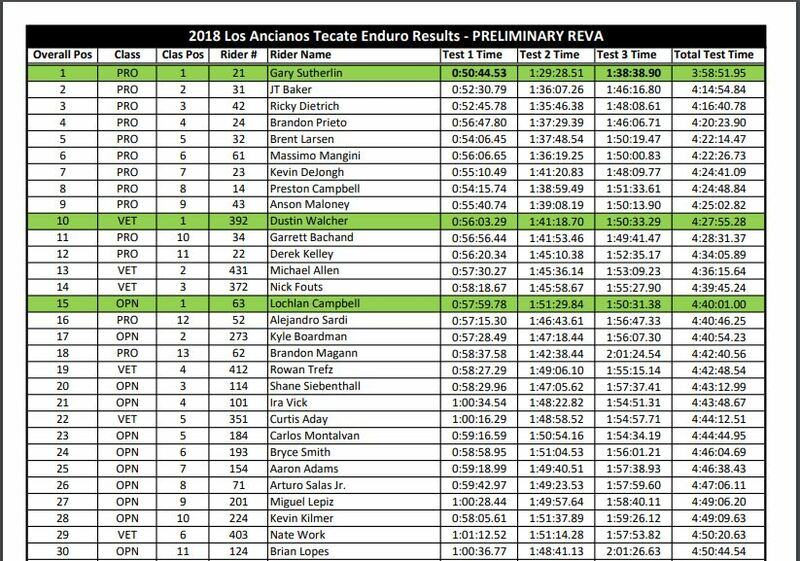 Gary Sutherlin won the Tecate Enduro last weekend, and I’m bummed I didn’t get down there to ride or shoot photos this year. From all reports, the dirt was awesome and the layout was excellent. It was a very big turnout, too, with over 300 riders, including guys like Larry Roeseler and Johnny Campbell. Here are some Youtube clips. The World Enduro Super Series has announced its 2019 schedule with a mix of classic favorites and new events to test the world’s best riders. – Briton Billy Bolt edged German Manuel Lettenbichler to claim the inaugural 2018 WESS crown after eight thrilling Enduro rounds on European courses. 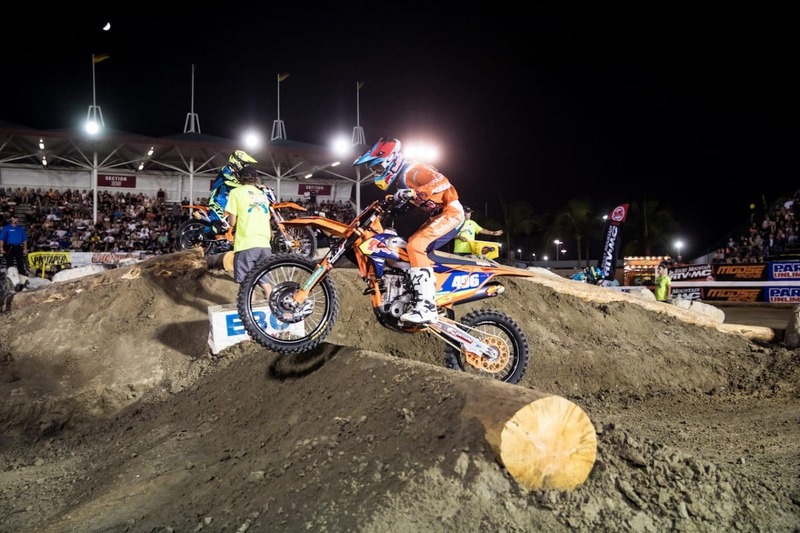 – Extreme XL Lagares launches the season again in early May with the riders having to race Endurocross, Urban and Hard Enduro straight out the gate. – Trèfle Lozérien AMV’s 600km follows next in France before the riders tackle the legendary Erzbergrodeo Red Bull Hare Scramble in Austria as up to 1,800 riders will vie for one of the 500 places on Sunday’s start line. – Italy plays host next in a provisionally scheduled summer stop with five great days of Hard Enduro to follow at the infamous Red Bull Romaniacs. 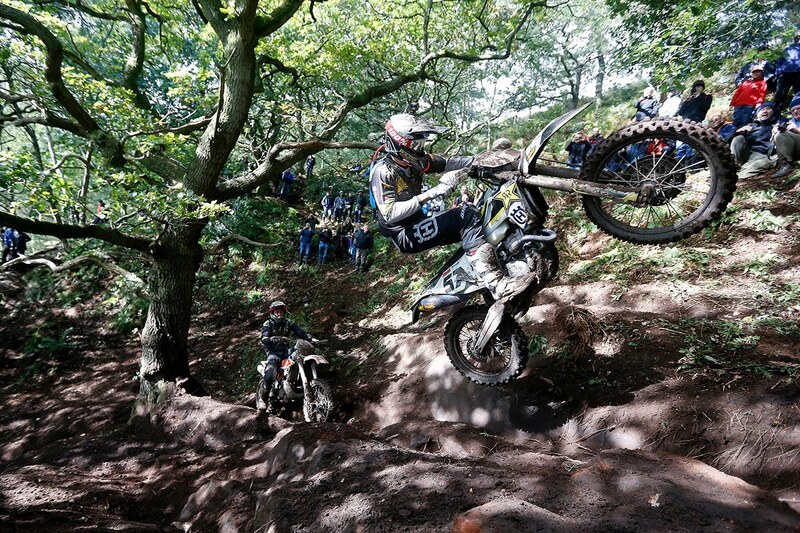 – September sees a return to Hawkstone Park, which delivered some of the best 2018 racing as riders went bar-to-bar around the sandy Shropshire circuit. – The third Classic Enduro event will be in Spain at the Solsona Enduro with Germany’s popular GetzenRodeo rounding off the season in early November. Following an illustrious ten-year career, FMF KTM Factory Racing Team rider Kacy Martinez (Coy) has officially announced her retirement from professional racing. At 28-years-old, Martinez has accomplished numerous career-milestones and shown incredible versatility in many disciplines of the sport. Martinez most recently wrapped up a stellar 2018 season, claiming the AMA EnduroCross and AMA Big 6 Grand Prix Championships in what would ultimately serve as the final bout of her trailblazing career where she holds 12 titles from seven major offroad racing series in the U.S. This 20+ year endurance series is one of the top events in the western states, enjoying support from endurance racers across the country. The 2019 series will feature a return to the 6, 10, and 24-hour formats over the three races. The emphasis on each event is fun for the riders, spectators and family! 3 Brothers Racing, the current #1 KTM and Husky dealer in North America, will be taking an active role in the 3 Brothers Endurance Series, coordinating rider support and contingencies to KTM and Husqvarna racers. 3 Brothers is a family-owned and operated dealership, operated by racers. Ricardo Barbosa and his son, Kevin, will be active in elevating the series to an even higher level of national and international recognition.